Over the course of 40 years being in force, the Patent Cooperation Treaty (PCT) has united 152 contracting states all over the world. This international initiative helps to determine the patentability of an invention under a unified filing procedure, allowing applicants more time for planning their patent protection strategy abroad. The fact that the number of the international applications filed with WIPO grows every year shows that applicants widely use the PCT route for foreign filings. However, there are still some states, which have not joined the PCT system due to the various reasons. One of these countries being Argentina, the second largest country in Latin America. Previously in Argentina, like in most other Latin American countries, the PCT was considered to be dangerous to national independence and innovative ideas, in which the government was not interested due to various political issues. The PCT ratification bill which was passed to the National Congress of Argentina almost 17 years ago, has not been considered by the House of Representatives yet, despite the fact that it got approved by the Senators a long time ago. The change of national administration in 2016 seems to open the doors to the international cooperation, including the PCT. Argentina actively signed several agreements, including a Memorandum of Understanding with the WIPO on May 6, 2016, showing the country’s willingness and readiness to expand the horizons of its IP protection system. 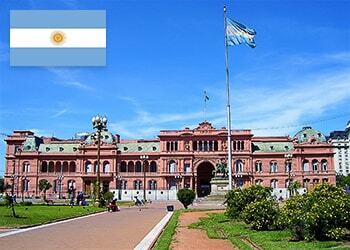 The PCT ratification bill is not likely to be considered soon; however, Argentina steadily moves towards joining. This was confirmed during the recent discussions of the PCT as part of negotiations regarding a free trade agreement between the EU and the Mercosur states (Argentina, Brazil, Paraguay and Uruguay). Although National Institute of Industrial Property (INPI) of Argentina faces a backlog and lacks resources, the country is willing to improve and strengthen its IP system with the support of the EPO. IP-Coster is closely watching further developments as to the matter, and we will keep you informed as soon as any additional details become available.